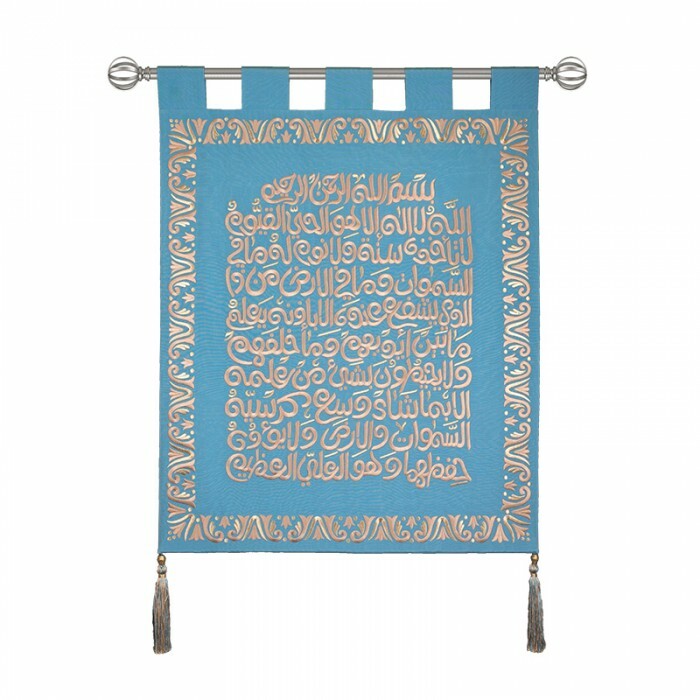 A high quality wall hanger featuring Ayat Al-Kursi from the Holy Quran. 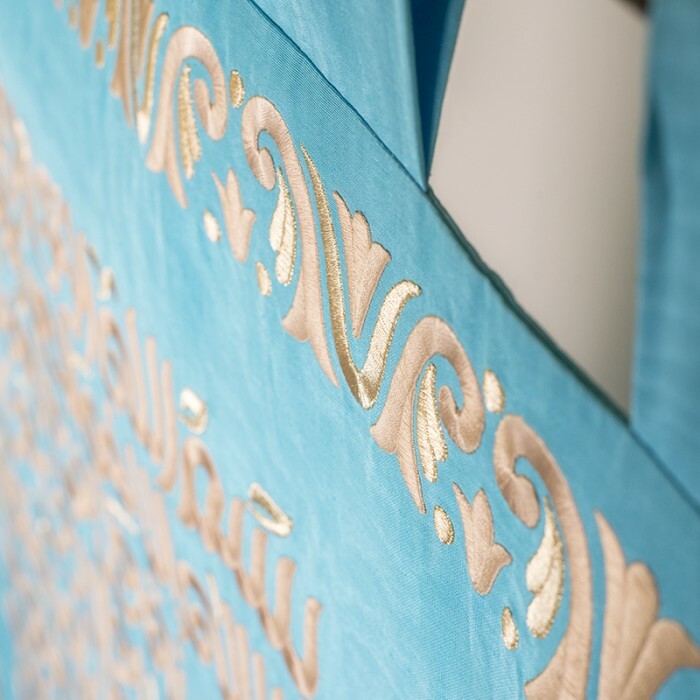 This piece is handcrafted and made of Moire’ material. 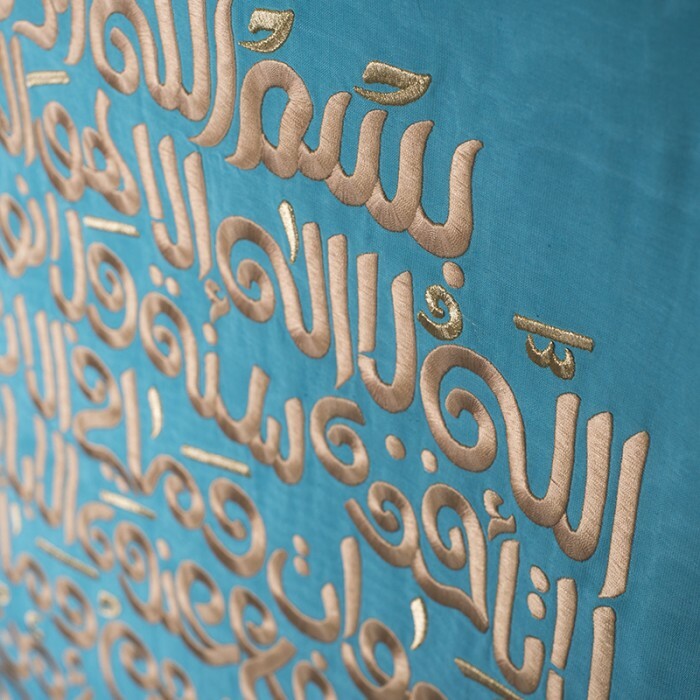 Islamic art displayed through embroidery.